Grinding meat, whether for baby food or to make sausage or meatloaf, doesn't require any special equipment. 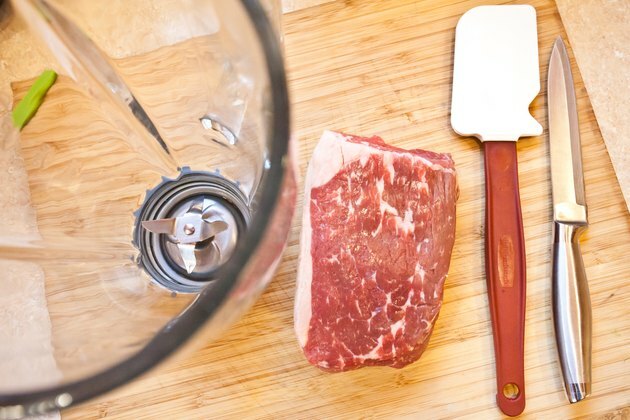 While you may want to invest in a meat grinder if you grind a great deal of meat frequently, for most people, a regular kitchen blender is perfect for the job. You can grind meat before or after cooking it. 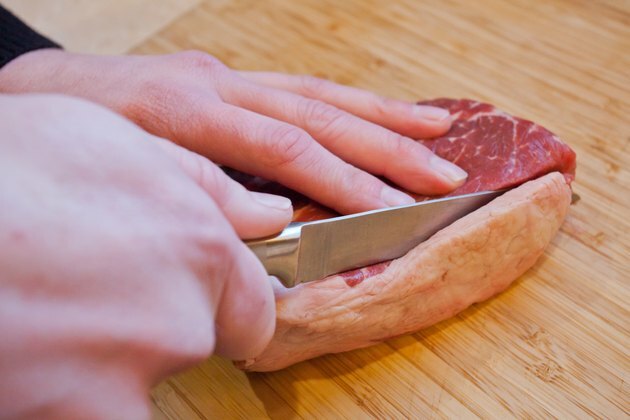 If you are grinding raw meat, however, it is important to keep the meat as cold as possible during processing and work quickly so that you don't give bacteria time to grow within the meat. 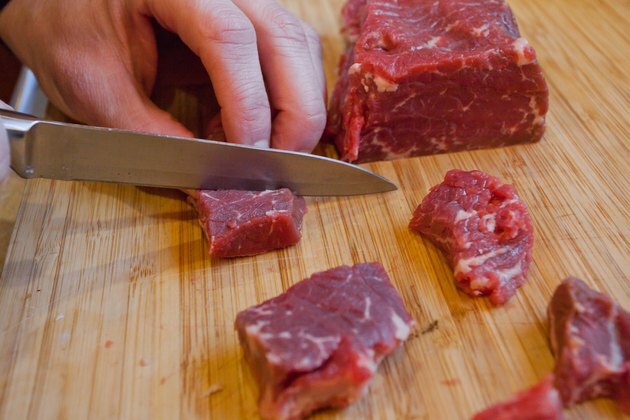 Remove gristle, fat, bones, skin and connective tissue from the meat with a sharp knife. Chop the meat into uniform cubes approximately 1-inch square. 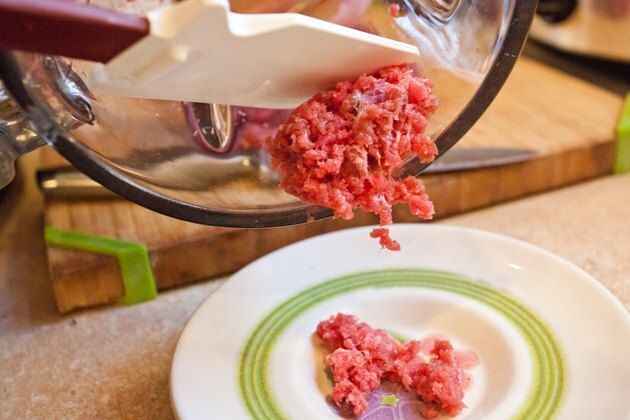 Place the meat into the blender, replace the blender's lid and start the blender on its "Chop" setting. Stop the blender after 20 to 30 seconds, remove the lid and check the consistency of the meat. Continue chopping the meat until you are happy with its consistency.For example, you want a very fine, smooth texture for baby food, necessitating a lengthy blending time, while sausage meat requires a coarser texture and a shorter blending time. You may need to use a rubber spatula to scrape excess meat from the sides of the blender periodically during the chopping process. 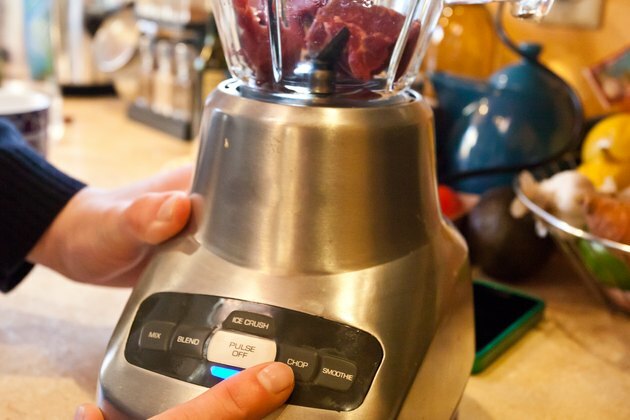 You can grind any cut and variety of meat in a blender. 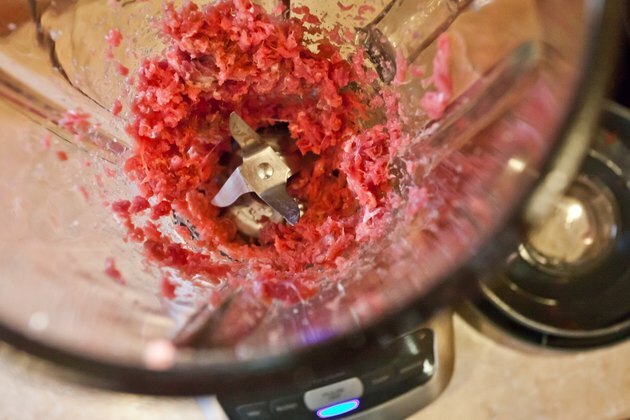 If you grind raw meat in a blender, it is important to disassemble the blender completely and wash all parts in hot, soapy water. Allow the pieces to air dry when you are done. This prevents bacteria from developing around the rubber gasket that holds the blender blade in place.